You've read about The Men of UHF - those Chicago television pioneers, that from scratch, built their stations against technical and logistical odds - and succeeded! Now The Video Veteran proudly presents to you the story of how another Chicago television station came to be - and built not by a man (as was the norm in the 1960s and 1970s) but by a woman who would become Chicago television's first female general manager. This was the 1980s and like those commercials for Virginia Slims told us - You've come a Long Way Baby! Hot on the heels of the recently lifted FCC ban on new television station applications (the FCC Sixth Report & Order of 1952) along with the opening of additional channels in the ultra high frequency range, a joint venture called WIND Inc. between The Chicago Daily News and The Ralph J. Atlass family (one time owners of the WBBM and WIND radio stations) petitioned the FCC for a construction permit to build a Chicago television station on UHF channel 20. It also applied for, and received the call letters WIND-TV. Nothing ever came of it. On November 8, 1956 Westinghouse Electric purchased the construction permit for $5.3 million. UHF stations of the 1950s came and went like milkmen, and by the end of the decade Westinghouse had soured on the idea of launching a Chicago station. In late 1962 they offered the construction permit (as the legend goes – for $1 although some reports list the selling price as $65,000) to Edward L. Ryerson of the Chicago Educational Television Association (today’s Window to the World Communications and licensee of WTTW Channel 11). First conceived in 1953 and debuting in 1955 as Chicago’s first non-commercial educational station, WTTW by the early 1960s was beginning to have growing pains. Gradually moving away from their original mission of providing classroom instructional courses as more and more of its broadcast day was filled first with programming from NET and later PBS and other member stations, the idea of a second station must have seemed the perfect answer. According to the quarterly WTTW Channel 11 News program guide of Winter 1963, hopes were high for the new station. 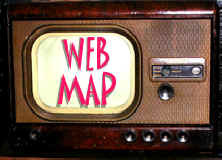 Intending to devote the entire channel's schedule to instructional programming including the already established TV College tele-courses, possibilities for WXXW included special police training programs, police bulletins (including line-ups), public health instruction in pre-natal and post-natal care, instructional programs for election judges, training for Army, Navy and Air Force reserve units, Civil Defense disaster training, programs for unskilled workers, professional information services for physicians and dentists, and seminar programs for various other professional groups. In September 1965, the former construction permit for WIND-TV officially became Chicago’s second UHF station and second non-commercial outlet WXXW on channel 20. But WXXW, known as "the classroom of the air" was essentially a failure. Plagued by a weak signal and a schedule filled with what one time WTTW station manager Edward Morris called “talking heads and a blackboard,” WXXW limped along until quietly going dark in 1974. Throughout its entire broadcast life WXXW was only able to transmit in black & white, making it and WCIU Channel 26 the only non-color stations in the early 1970s. The monochrome transmissions were just another nail in the station’s coffin. In 1977, a consortium known as the Chicago Metropolitan Educational Council acquires (and once again – legend says for $1 making it the cheapest television license ever in the Chicago area!) the long dark WXXW license from WTTW general manager Bill McCarter and renames it WCME. That station is never built. 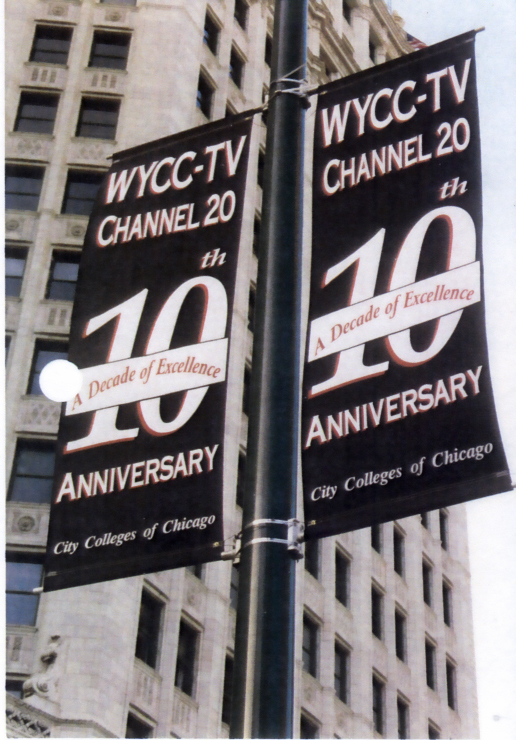 In 1982, Oscar Shabat, founding Chancellor of the City Colleges of Chicago asks the consortium to release the dormant license to them, and in late 1983 channel 20 is reborn as WYCC “We are Your City Colleges.” Credit to the development and subsequent success of WYCC goes to Elynne Chaplik-Aleskow whom we are flattered to talk with today. VV: I met Elynne Chaplik-Aleskow at her lake front high rise. We walked over to a nearby café where for about two hours I listened as she regaled me with stories of the early days of WYCC, how it all started, its original mission, and why her channel 20 succeeded where the old channel 20 floundered. It is a story that untold would be a serious omission in the long history of Chicago television. EC: I came in 1974 to the City Colleges of Chicago. I started in August. I had been teaching. That was the way I started. When I came to City Colleges, I thought that was what I’d be doing. I met Oscar Shabat [Chancellor of City Colleges] through a mutual friend. And after we met he said ‘I’d like you to be an administrator here and come and work on some of our different projects’. So it was a very difficult decision, really because teaching was my passion. But I said OK.
VV: Where were you teaching? EC: I was at Mather High School and Roosevelt University. EC: At Mather it was English. And at Roosevelt, English and Speech. VV: I observed in your bio that your career has leaned toward communications. EC: Definitely. My Masters is in Speech from Northwestern University. VV: So how does one get to build a television station in the 1980s? EC: I was an adjunct instructor at Roosevelt University when I met Oscar Shabat. Then he hired me and when he hired me there were different projects I was assigned – all immediate. I was reporting to the president of Chicago City - Wide College, which was one of the City Colleges of Chicago. His name was Dr. Sal Rotella. I started a radio college for them, which was on WNIB-FM. It was run by the Florians -Sonia and her husband Bill. VV: Yes of course. I remember them. EC: And we would offer college credit courses on radio that we would create. There was the “wrap around” concept where you would take beautiful documentary style series and make them into courses with written materials. We partnered with the Chicago Tribune for a radio/newspaper course. VV: Very interesting! So the wraparound concept was already utilized on radio! I can see where such a creative concept would naturally spill over to television. EC: It was all very interesting. One day Oscar called me into his office and Oscar said to me that we had just purchased the license for a PBS affiliate and it would be the second affiliate in Chicago. He said ‘We had it with the Illinois consortium [as WCME] but couldn’t get it on the air.’ They just couldn’t make it happen. And then he assigned it to me. VV: Tell me about Oscar Shabat. EC: Oscar had started his career at Wright College as a social science professor. Then he became dean of the social science department. Mayor Daley’s papa, the original Mayor Daley, worked with Oscar and they decided to create a system of city colleges in Chicago. He [Oscar] became the first Chancellor. And he was really the founding Chancellor. When I say founding Chancellor I mean he built it. He built our system of all the various city colleges. There were eight at the time. There’s seven now. VV: So it was Oscar Shabat who acquired the license from WTTW? EC: He went and talked to Bill McCarter [general manager of WTTW] and they had an agreement. Sal Rotella was about to become president of one of our colleges called Chicago City-Wide, which was a non-traditional college in the sense that we went out into the city taking classes into hospitals and we had classes through media. We went to the students, rather than they coming to us. VV: I can see where this is heading. EC: Technically when we were going to build Channel 20, Sal took the title of general manager. I was appointed program director. This lasted just a couple months because Sal then became Chancellor of the City Colleges of Chicago. EC: After Oscar. And then he [Sal] and the Board of Trustees made me both general manager and program director at the same time. So I am the founding general manager because I built the station. VV: Were you aware that Oscar had asked Edward Morris [former general manager, at different times, at both WTTW and WSNS] to head the station but Morris turned down the offer thinking he would be just a figurehead? EC: Well Oscar did interview a lot of people. He interviewed Ed Morris. He interviewed Carol Nolan from WBEZ. But whether he made them a firm offer – that’s an interesting question. VV: Ed did not have anything positive to say about WXXW, calling it a ‘talking head in front of a blackboard” and not surprised by its failure to attract viewers. He may have assumed the new Channel 20 would be no different. EC: Oscar could have talked to established broadcasters. That wouldn’t surprise me. I know that Sal told him that he wanted me to do this. Oscar was my mentor. So eventually they had a meeting of the minds so when Ed feared he would be a figurehead he probably knew he’d have to build the station. VV: I don’t think he was willing to do that. EC: But I was! And they knew that. So I accepted it and I was thrilled. I was thrilled and scared. VV: You were a teacher. Did you have any experience in starting a television station? VV: How much time did he give you? VV: It must have been an overwhelming feeling. EC: I thought ‘calm down, you’re a good manager. You know what you have to do.’ So I started a list and I started calling people. I knew whom to call. I knew people in the industry. I had done work at channel 11. I did work on camera as talent. Before I knew it, I knew what I had to do and I did it. But that was a first, without question. VV: It had to be an exciting year. EC: When we’d come home at two – three in the morning, we were exhausted, but it was the best time. Looking back, how many chances do you get to build a television station from scratch? It was hard. Originally the station was to be built at Kennedy-King College because they had the broadcasting component. But what happened was, at the moment, there was not a line of sight directly to our transmitter. It was from Daley College that they could do that. VV: That would be the first turning point? EC: We went to Daley College and built master control. We built the studio. Just built everything at Daley. VV: So you did have studio facilities? EC: We did. The thing you saw me do on the air? That was at our studios. [Referring to on camera commentaries.] They did not budget us as a production station. They wanted canned programming. VV: Then the bulk of your broadcast day came from PBS? EC: Yes or if I found something interesting I would take the wraparound concept and make it into a course. Channel 20 was one of the few stations in the country with an instructional license. VV: That differs from the standard non-commercial educational license? VV: So how does that work? Were you limited to what you could broadcast? I recall some old movies airing on Channel 20 in its early days. How could they be construed as instructional? EC: We could run movies but that’s where the wraparounds come in. We would create a wraparound and turn it into a film course. VV: That’s a great idea! EC: I remember getting Jimmy Stewart’s “It’s A Wonderful Life.” We made it a film course. It wasn’t in public domain at the time. It was great! 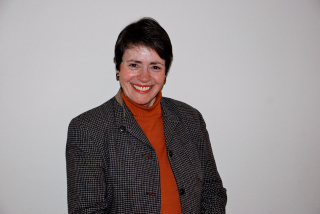 VV: Let’s talk a bit about television classroom instruction. It is the concept on which WTTW was built. But by 1983 were they offering any courses? VV: No doubt had you gone that route we wouldn’t be sitting here today. EC: The City Colleges started TV College at Channel 11 when it was just a camera and a teacher. I once heard a story – way before my time – where one of the teachers fainted and the camera followed him right down the wall to the floor. VV: (laughing) Well that ought to show who’s paying attention! EC: I know! So I told Oscar there’s a lot out there that we could do. We could be creative. I said this has to be excellent television. Otherwise I don’t want my name on it. VV: What was Oscar’s response to this? EC: He agreed to it. It was very touchy because he couldn’t criticize TV College per se because they had started it. So he had to be careful. But he agreed and he was very supportive. VV: With Channel 11 abandoning classroom instruction classes, with the failure of WXXW and before the debut of WYCC, how did TV College survive? EC: Before we had Channel 20 we were still in the business of distance learning. We had a long history. EC: Distance learning is media learning. It is a term for television learning where people would take their courses on television, come into one of the city colleges for an exam, reach their instructor by phone, get their study guides, watch television and take the course. EC: We were doing this way before [WYCC]. The City Colleges had TV College and TV College had evolved. When I came to work at City Colleges in 1974, they had me working with the professors on the written material and how we put the package together. We did something with WBEZ called The Big Onion, which was a history of Chicago. It was with Professor James Piety from Wright College. He did the scripts. James Nader, from WBEZ, today he does all kinds of music stuff, he was the director. And I was the producer. VV: So even with the reduction of exposure, TV College seemed to endure. EC: My point being that we would do a lot of things like that, create media courses for credit. We had a huge enrollment. City Colleges was always in this business. VV: While you were at Channel 20, did the economy have any affect on how you programmed or ran the station? VV: I could see how it might backfire on the station. EC: That’s what he always thought. Times were tight. VV: You mentioned earlier that the Channel 20 license had first passed to a consortium of schools before being part of the City Colleges. Let’s talk a little about that. EC: It was a perfect transition. At first, I think, Oscar had to go along with the consortium. But all these schools in Illinois, they couldn’t work together. All they did was fight and it sat there. It sat there for years and nobody did a thing. And then Oscar finally convinced them that we’d take it. We knew we were going to make a go of it. We were already in the business. VV: What was the problem with the consortium? EC: They couldn’t get along. Everyone wanted to be the point person. Everyone wanted to dictate. But they could not get along. It was fascinating. VV: It’s interesting. Considering what eventually happened, I’m sure there were more than a few of the consortium schools that were kicking themselves! EC: We were among the top ten public television stations that based their work on telecourses. It was a natural transition for Oscar to decide to do this. It was the same idea of reaching people who were either going to take their course work only through Channel 20 or concurrent students – in other words they went to one of the City Colleges and then in addition to that, they took more courses by TV. VV: Gone were the days of the talking heads! EC: I found language courses. These gorgeous courses that were actually soap operas or documentaries of which we wrapped around material that the teacher created. We had stunning courses. VV: Were there any programs that were created and produced especially as telecourses? EC: There were. Some were from Coast Line Community College in California and other “producing” colleges. That was their business. And they did beautiful productions. But none of them were talking heads. We killed that. When we started, that was over. VV: Aside from the wraparound segments and your on screen commentaries, were there any other in house productions? EC: A few public affairs programs but we were not budgeted as a production house. They made that very clear that we did not have the budget for that. They do now. Now they have beautiful studios. VV: While you were creating educational television history, how were the more mundane tasks of hiring teachers, printing exams, etc. handled? EC: We had the “Center for Distance Learning,” at the City Colleges and they were the people – that hired the instructors, got the exam and text books and did everything needed to do with the teacher. And we took care of the production. The college credit was the same as the TV credit. VV: No difference at all? EC: If you took Italian on Channel 20 it was the same credit as if you took it in the classroom. VV: At the start, was WYCC considered to be in competition with WTTW? EC: That’s an interesting question. Oscar had a very good relationship with Bill McCarter. And so did I, which was very helpful. Bill just said we have to be separate. And of course my personal feeling was without question, the last thing I wanted people to say was that all they do was rerun what was on 11. Who needed that? EC: A couple times there was programming, for example, The Ascent of Man that was very popular. Before Channel 20 we actually went to 11 and we did wraparounds with them. But then other series came up. Now we’re both PBS but they were not pleased that we were showing them. But we made them into courses. EC: I don’t think we were unique to that. It’s not unusual for a city to have more than one PBS station, but we had a narrow niche that defined us. We were strictly educational. VV: Similar to how Channel 11 started in 1955. EC: As far as their original mission was – yes. And you know what programming they had then? City Colleges! They aired their programs out of channel 11. The talking heads started there. City Colleges had a long history with them. But when we started Channel 20, we tried to keep it separate. There were a few times when they felt like we were stepping on their toes but we were also a PBS station. But usually there wasn’t much bad blood. At least at Bill’s level. VV: You once had an offer from Bill McCarter to work at WTTW. How did that come about? EC: He was one of my favorite people. He tried to hire me at 11 to be the head of their pledging. He wanted me to be the head producer because I had done some pledging work for them on camera. He called me in and we had such a good relationship. I adored him. He said ‘I’d like you to come here and do this.’ I went home and then Oscar called me wanting me to build the station saying it was an opportunity of a lifetime. And I said “Yes it is!” to Oscar. VV: Was there ever a point where you thought it wasn’t going to work? EC: No. Never felt that way. We really believed in our educational mission, affording people the opportunity to go to school when they couldn’t come in or to take more if they were coming in. Usually the profile was an adult clientele, some who were very busy, had to be disciplined, and could be an independent learner. But it was the response from the viewers – when they would write letters – they would just grab my heart. They were so appreciative of Channel 20! It really was a personal connection with them. VV: That means so much more than cold ratings! EC: Yes! We always had the viewers' minds and hearts in our programs. We just didn’t want to do the inferior stuff! We wanted something where maybe we wouldn’t have seven billion viewers but that’s ok. The people we had chose us and appreciated us. They were PBS people, but they were PBS people from the Channel 20 niche. It was so touching. VV: Clearly a big part of Channel 20’s success has to do with the elimination of the talking head concept, which no doubt was a huge contributor to the demise of WXXW nine years earlier. EC: Absolutely. At the time it was all they could do. It was a disaster and we would have been laughed off the air. VV: There were documentaries available. Why do you think WXXW didn’t pick up on the wraparound concept? EC: They just didn’t have someone who was into “programming.” I guess at the time they thought of a telecourse as having a teacher standing there and they were really just trying to duplicate with a camera what happened in the classroom! It’s so barbaric! VV: Right! Like those 1950s instructional films! How to be a good date! EC: Exactly right! Now the concept of people being able to get credit was new but their programming was not really programming at all. VV: Did you choose the new call letters? EC: WYCC – We are Your City Colleges. No. That was Oscar Shabat. Our attorney took it [to the FCC] and they said yes we could use it. Our channel 20 was always WYCC. VV: Do people still approach you about Channel 20? EC: A few years ago, I was at channel 11 for something and I met some of the people that were there. And they were very excited to meet me and talk to me about Channel 20. It was a very nice warm reception. To this day I am still recognized by the public. They call me "the Channel 20 lady." VV: With three PBS stations in the Chicago market and recent reports of the precarious financial situation of Channel 11, has the market become saturated? Do we really need all three? EC: It’s hard for me to address the Channel 20 of today because it has lost its way. EC: I mean that our mission in the beginning was clearly an educational mission with the latest technology in programming. So it was beautiful programming of the 80s, not the 50s – but with the opportunity to earn a college associates degree. That was our mission. That’s what we were doing, reaching out to people, giving them that option. And now if you look at their program guide, they’re all over the place. VV: Sort of a clone of Channel 11. EC: That’s what people have said to me. What happened to Channel 20? And I tell them it’s very painful to see. We had constant praise and acknowledgement from the Corporation for Public Broadcasting on what we were doing – in our educational role. VV: The station is just about to air for the first time. Were there any snags or unexpected problems that threatened that debut? EC: One day Dave Salinski [WYCC chief engineer] said to me - ‘we’re going to air and we don’t have the console [for the master control board]. It hasn’t come in yet!’ And I found out it was being held up. So he said he was going to take a bunch of tables from the cafeteria. We were guests at Daley College. It wasn’t our school. Now here he comes with these table and chairs and I hear a saw going and he’s making these holes in the table because he’s going to put the console right in there since we didn’t have delivered what we needed. VV: He decided to build it himself. EC: (laughing) He decided to build it himself with their materials! I got a phone call at home from the president of the college – ‘I want to see you in my office!’ But it was like- do whatever you have to do. Let's get this station on the air! VV: Any other unexpected situations? EC: One day I’m in my office and the fire alarm goes off. "OK everyone, out"! I walk into master control – "Out, out of the building!" "What’s going to happen with our programming?" "I’m staying!" VV: Like the captain of a ship! VV: Do you recall what was airing at the time? EC: It was one of our shows. Luckily it had just begun. I had a half hour. I didn’t have to worry! VV: That first day. Did you have a full schedule? EC: No. We extended it gradually. So we may have been on the air until about one in the afternoon – something like that. VV: You would start out in the morning? EC: Yes. I was the first person on camera. VV: You introduced the station? VV: Any recordings of that first day? EC: I don’t know. I’ll look. I remember that President Reagan welcomed our station to the air. VV: It would be a wonderful addition to my online Chicago TV exhibit over at the MBC website – museum.tv. EC: Well let me tell you this. My husband, Richard Aleskow, was also in television. Richard had worked with NBC as a field reporter. So he was on camera but not here. They saw him in Indiana and Wisconsin, but then he got an offer from Red Quinlan and they built Channel 32. VV: Really? Red was a good friend and a wonderful human being. EC: So he was there with Red and part of the original crew that built Channel 32. VV: Well I know who will be my next interview subject! EC: Oh he’d be a wealth of knowledge for you! VV: I have to say this has been a most enjoyable afternoon. If I wasn’t concerned about my car being ticketed for an expired meter I could sit here for hours! EC: You’ve asked some really important questions – historically. The relationship of Channel 11 and us; the connection, if any, we had to the old Channel 20 which I think I clarified for you. VV: Yes you have. It is the mission of this site to inform its readers on the wonderful and fascinating history that exists for Chicago television. I am grateful that you have helped fulfill part of that mission with the story of how Channel 20 in Chicago became a success story. I thank you. Originally a service of the Chicago City Junior College and Chicago Teacher's College, both answering to the Chicago Board of Education, TV College began in 1956. MPATI, the Midwest Program on Airborne Television Instruction, an ambitious attempt at consolidating an educational television service in a tri-state area is launched in 1961, increasing the amount of classroom instruction across four stations. By the 1965-66 school year, 35 courses are available on WTTW channel 11 and WXXW channel 20 through Chicago Area School Television Inc. for elementary and secondary schools in seven counties in Illinois and three in Indiana. 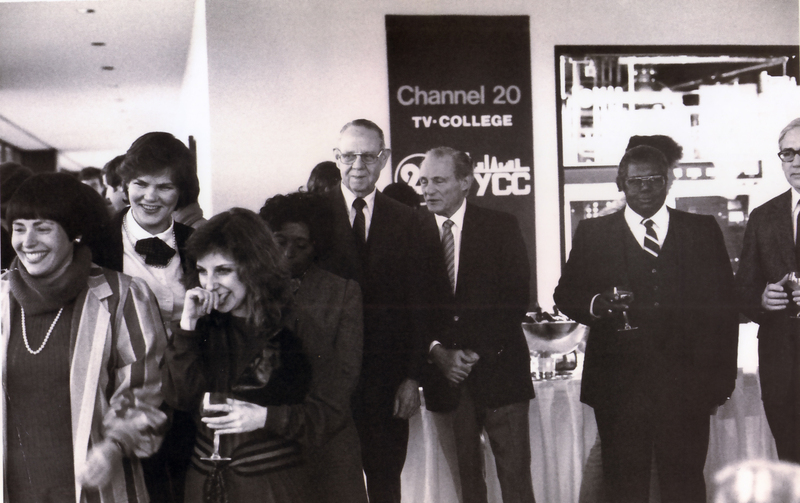 A new Channel 20, WYCC, is launched in 1983 and the station's founder and general manager Elynne Chaplik-Aleskow ushers in a new era in educational television. MORE TO READ AT THE VIDEO VETERAN!